Catarina Set is an Armor in Dark Souls 3. 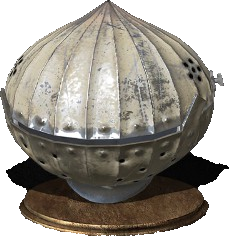 Often ridiculed for its onion-like shape, infuriating the country's proud knights, but the masterfully forged curved design makes it very effective for deflective blows. Sold by Unbreakable Patches for 15,000 souls in Cathedral of the Deep on the way to Rosaria near the lever or after Patches has moved to the Firelink Shrine. Dropped by Siegward of Catarina upon his death. 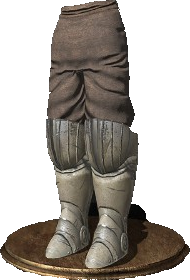 If you kill Siegward of Catarina at the Undead settlement, past Eygon, he drops this set. If you kill Unbreakable Patches, set will be dropped in firelink shrine, in the place where Patches was, after reload. Does this still effect Parry Frames? I&apos;m testing but not seeing it. Another poor item discription on FROM&apos;s part? The lightning resist on this set is incredible. If you want (imo) the best set to tackle the Nameless King, this is what I always use. Throw on a Lightning + Speckled Stoneplate ring and you&apos;re basically as conductive as rubber. Onions can even make the King cry. 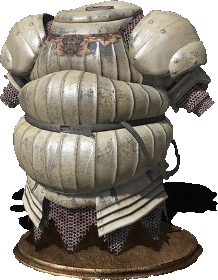 Memes aside, this is one of the outright best heavy armors in this game. Extremely high defense and resistances, along with relatively low weight compared to Smoughs and Havel&apos;s.
I just spent the last hour and a half invading people, finding the host, dropping an ember and a twinkling titanite each, waving and black crystalling out. Made sure to wear full Catarina Set, pierce shield, and rocked a Zweihander. Obviously as a Warrior of Sunlight. Only found eleven people so I wish I would have given them two of each now. 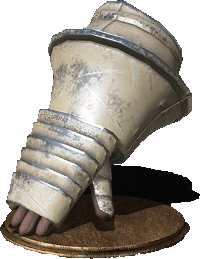 Praise the sun, fellow onion bros.
waitamin, isn&apos;t it from ds1? Rest in spaghetti, onion bro. You will be missed. 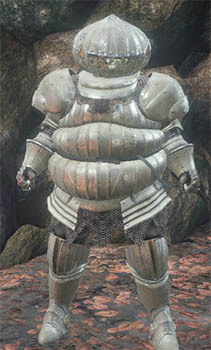 If you want to cosplay as Siegward don&apos;t forget the Pierce-Shield and the Zweihänder! I sold the chest piece back to patches by accident. Is there a way to unscrew myself without killing patches? is that ds1? im preaty sure it is. why this not ds3? was it too hard or because it look more polish? We have a toast to make! That image is from the first game. Not that it makes much difference. This armor set was removed after I advanced into ng+ strange bug?